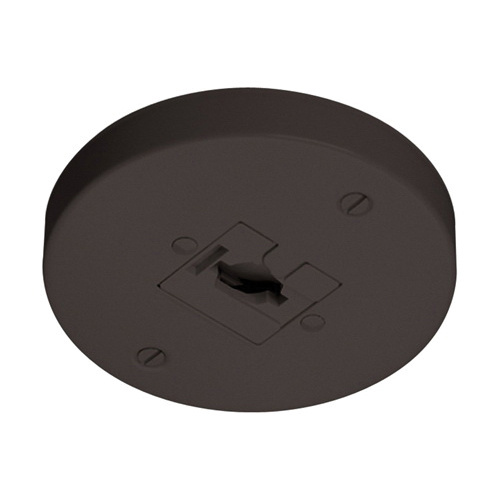 Juno Lighting Trac-Lites™ Collection Line voltage outlet box monopolist adapter in black color, is suitable for use with 1-Circuit trac system. It has a dimension of 4-3/4-Inch Dia x 5/8-Inch. It increases the versatility of Juno® trac fixtures and mounts directly to outlet boxes. This 120-Volt adapter is suitable for automotive and parking, education, hospitality, offices and banks applications.